Components In The Box (2) 2-inch wheel spacers Hardware Features Spaces wheel 2" allowing use of wider tires. Made from 6061-T6 Aluminum. 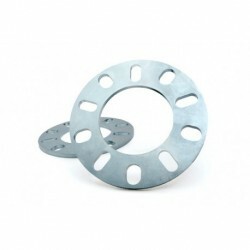 Spacers are corrosion resistant. Studs are preinstalled. 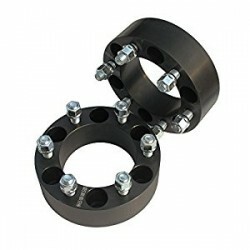 Fits: 2001-2010 Chevrolet Silverado & GMC Sierra 2500 3500 2012-2017 Dodge Ram 2500 3500 ***MUST ORDER 2 QTY TO GET 4 SPACERS*** Components In The Box (2) 2-inch wheel spacers Hardware Features Spaces wheel 2" allowing use of wider tires. Made from 6061-T6 Aluminum. 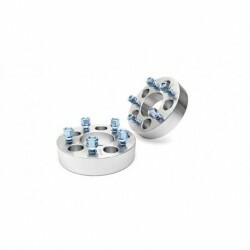 Spacers are corrosion resistant. Studs are preinstalled. 1992-2017 Chevrolet Silverado & GMC Sierra Truck 1500 6x139.7mm M14x1.5 tread type Components In The Box (2) 2-inch wheel spacers Hardware Features Spaces wheel 2" allowing use of wider tires. Made from 6061-T6 Aluminum. 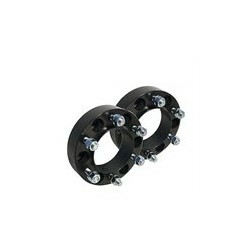 Spacers are corrosion resistant. Studs are preinstalled. 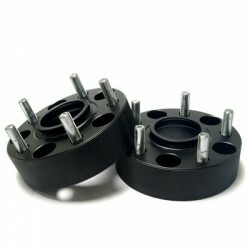 Components In The Box (2) 1.5-inch wheel spacers Hardware Features Spaces wheel 1.5" allowing use of wider tires. Made from 6061-T6 Aluminum. 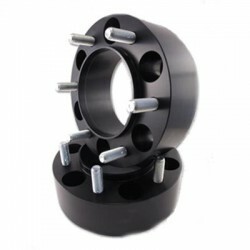 Spacers are corrosion resistant. Studs are preinstalled. Fits 5 x 4.5" bolt pattern. Sold in pairs. 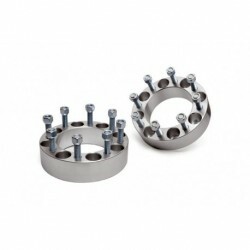 Components In The Box (2) 1.5-inch wheel spacers ***NEED TO ORDER QTY 2 FOR 4 SPACERS*** Hardware Features Spaces wheel 1.5" allowing use of wider tires. Hub centric design. Made from 6061-T6 Aluminum. 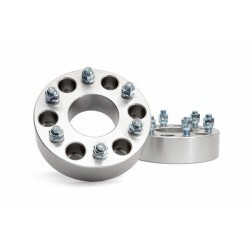 Spacers are corrosion resistant. Studs are preinstalled. 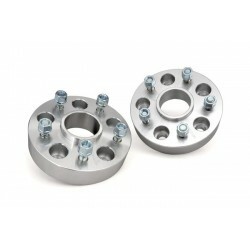 Fits 5 x 5.0" bolt pattern. Sold in pairs. 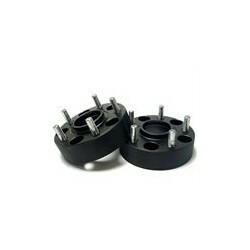 Components In The Box (2) 1.5-inch wheel spacers Hardware Features Spaces wheel 1.5" allowing use of wider tires. Made from 6061-T6 Aluminum. 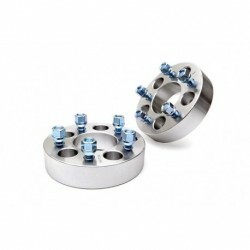 Spacers are corrosion resistant. Studs are preinstalled. 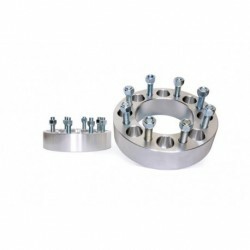 Components In The Box (2) 0.25-inch wheel spacers Features Allows 09-up Dodge Ram 1500 pickups with a Rough Country 4-inch or 6-inch lift kit to run their factory 20-inch wheels. Spacers are corrosion resistant.